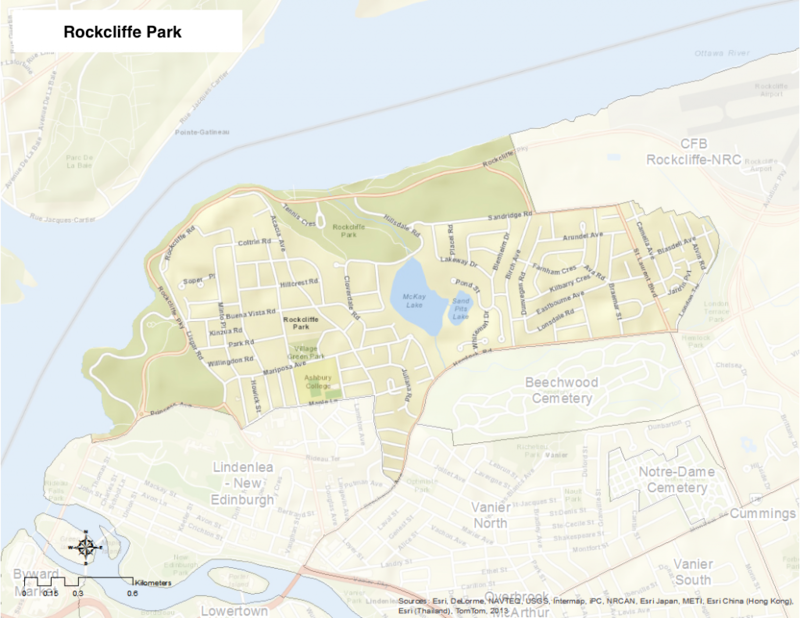 Rockcliffe Park is bounded by the Ottawa/Outaouais River on both the north and west. Its southern border includes Princess, Maple, Acacia, Beechwood, Hemlock, St. Laurent and Montreal Road. The Aviation Parkways, Hemlock, London, Sandbridge, and Birch Roads are to the east. One of Ottawa’s most prestigious neighbourhoods, Rockliffe Park was a police village in the Township of Gloucester from 1908 to 1925. However, the first house in the area was built circa 1835. The community became its own independent municipality in 1926 and remained so up until its amalgamation to the City of Ottawa in 2001. It has maintained much of its original design, as was envisioned by Thomas Coltrin Keefer (son-in-law of Thomas McKay) in 1864. The neighbourhood’s Manor Park area (the south eastern portion) began to develop much later during the post WWII era.